Cheat Seeking Missiles: A Face Worth Dying For? A Face Worth Dying For? Hatin's crime, it appears, was the desire to lead a normal life in her family's adopted land. The vivacious 23-year-old beauty, who was raised in Berlin, divorced the Turkish cousin she was forced to marry at age 16. She also discarded her Islamic head scarf, enrolled in a technical school where she was training to become an electrician and began dating German men. Her murderers were her three brothers, who tricked her to leave her young son and wait at a near-by bus stop in the dark of a cold February night. 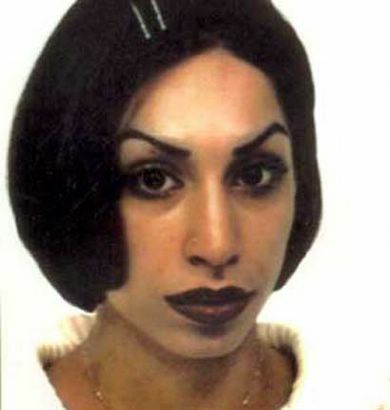 She was shot there and died there, becoming one of six Berlin women who has died at the hands of family members because they attempted to leave Muslim ways and live a liberated Western life. At least 40 women have become victims of "honor killings" in Germany since 1996. In many cases, fathers -- and sometimes even mothers -- single out their youngest son to do the killing ... because they know minors will get lighter sentences from German judges. ... Currently, six boys are serving time in Berlin's juvenile prison for honor killings. "In a way, these boys are victims, too," she said. Sometimes they are forced to kill their favorite sister. This demented religion thus causes multiple victims: women who are killed, their young children who lose their mothers, and their brothers, who are forced by their parents to kill a sister they love. Why do we treat this religion with respect? Why do our soldiers have to put on gloves before handling Islam's "holy" book? What is holy about a book that drives people to carry out crimes like this? What is holy about a religion who's leaders allow crimes like this to go unpunished, and worse, actually encourage honor killings? What is holy about a faith that has so little room for forgiveness? Here's an idea. Go to the search engine on the CAIR (Council of American-Islamic Relations) web site and type in "honor killing." You already know the answer -- no hits, no statement whatsoever. A religion that does not condemn itself when it is wrong must believe that what is wrong is right. Another UN Scandal: "Green Death"